I've had this teeny bottle of holographic goodness for a while now but realized this weekend I hadn't shown it on the ol' blog yet. 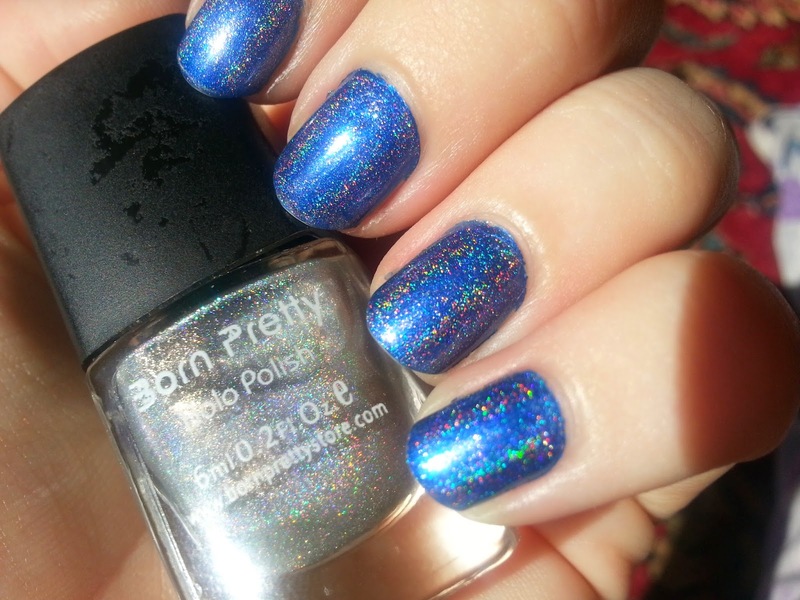 Born Pretty Store has a bunch of holo polishes, but because I wasn't sure what they were like (and I couldn't afford to buy them all, much as I would like to! 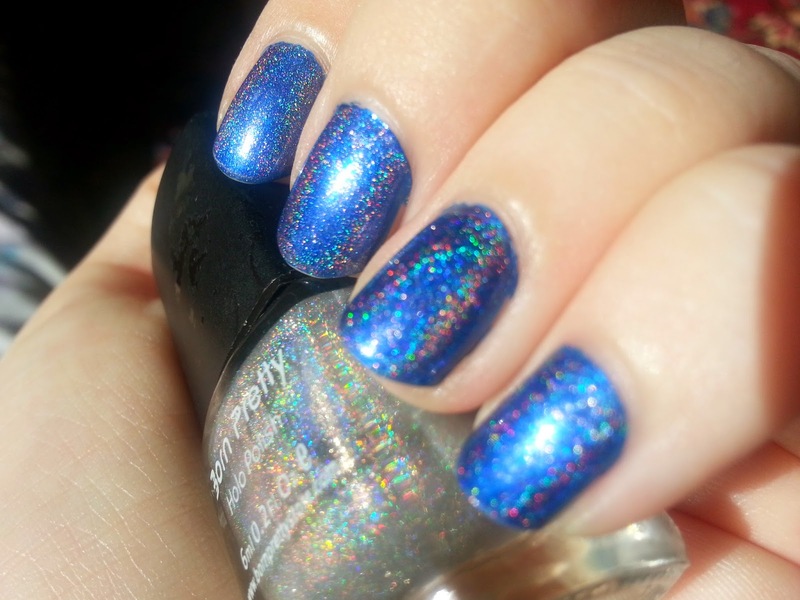 ), I decided just to order #1 - a sheer polish packed with holo particles that could be built up (if you have the patience) or used as a top coat to transform other polishes. I haven't got much patience, so I've been using it as a top coat to add glorious rainbows to my fingertips. Seriously, you can ask my friends - I become a total weirdo staring at my own fingertips when I'm wearing this. In the above pictures, I'm wearing two coats of the newer "the boy next door" polish from essence, topped with 1 coat of #1. 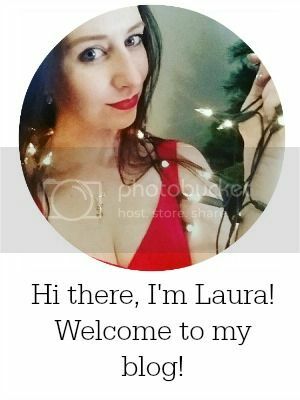 I'm not wearing top coat yet in the photos, but I did add some afterwards for longevity. I've had this mani on for 5 days so far without any injury to it. 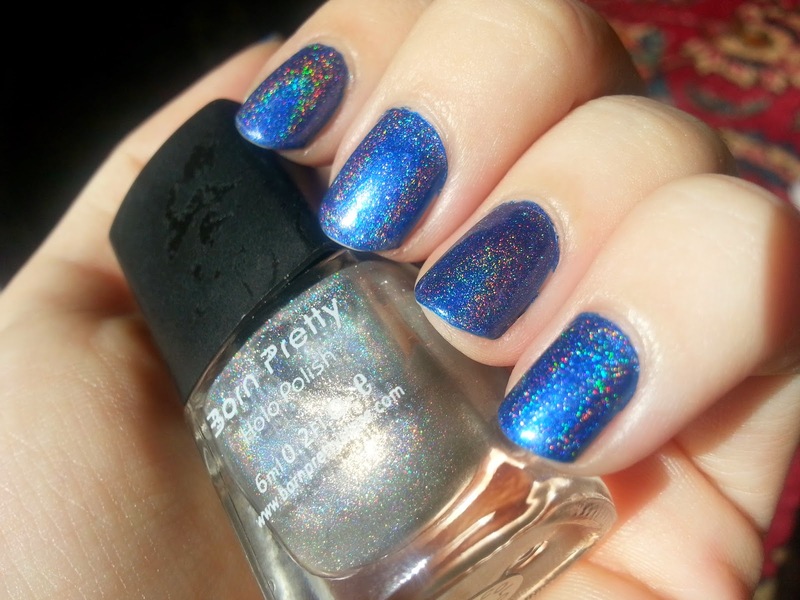 Oh, and a heads up, if you want to order any goodies from Born Pretty Store (and it's hard not to), you can use the discount code JVRX31 to get 10% off :) You can go buy #1 here, or look at the rest of the holographic polishes here.